Miguels Tacos has proudly served our community for over 35 years. As a family-owned local tradition, Jerry and Pat Danner created Miguels back in 1982, naming it after their son Mike, Miguel’s current owner, along with his wife, Lori. The Danner’s created a Mexican food gathering place in the community, growing into larger locations with the popularity of their restaurant. Mike began working at Miguels Tacos as a teenager, learning all the aspects in making the best Mexican food and running a great restaurant. As our Mexican food restaurant and drive through became more and more popular, Mike decided to move to a bustling area very close to his original location. 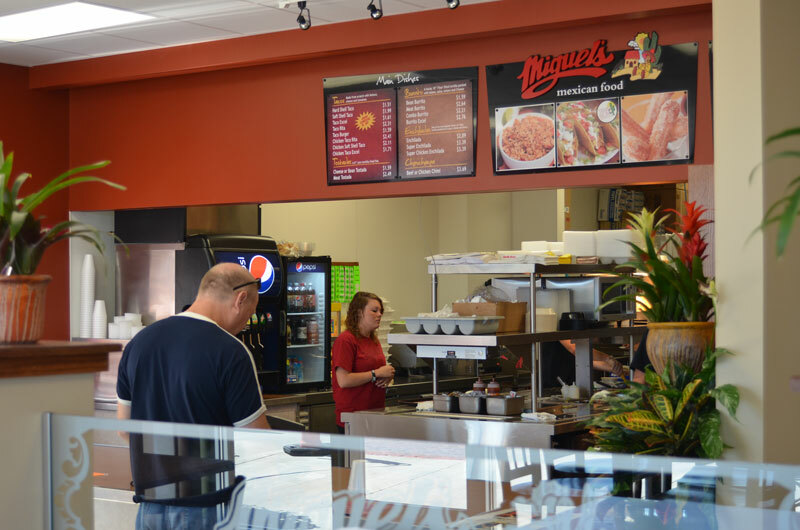 Within walking distance to beautiful downtown Detroit Lakes, Miguels Tacos opened in a much larger location to provide more access to our popular meals- with ample seating for families and larger groups, as well as an easy drive through. With the spicy interior ambiance and the superb Mexican food, Miguels can now serve our tasty meal favorites to many more visitors and our appreciated regulars. We have included a popular breakfast menu to our famous Mexican meals, to give you more of that great fresh made taste. With our new and larger location, our catered services menu has expanded to provide you with many more delicious Mexican meal options for your special events-from weddings, graduations, reunions and all types of family events, we enjoy creating the perfect menu for your party. Thank you for being part of the Miquels Tacos family tradition.